AbbVie, a global biopharmaceutical company, wanted an environment that supported its innovative and collaborative working culture and approached S&T for concepts to improve their current fit-out to match their working styles. 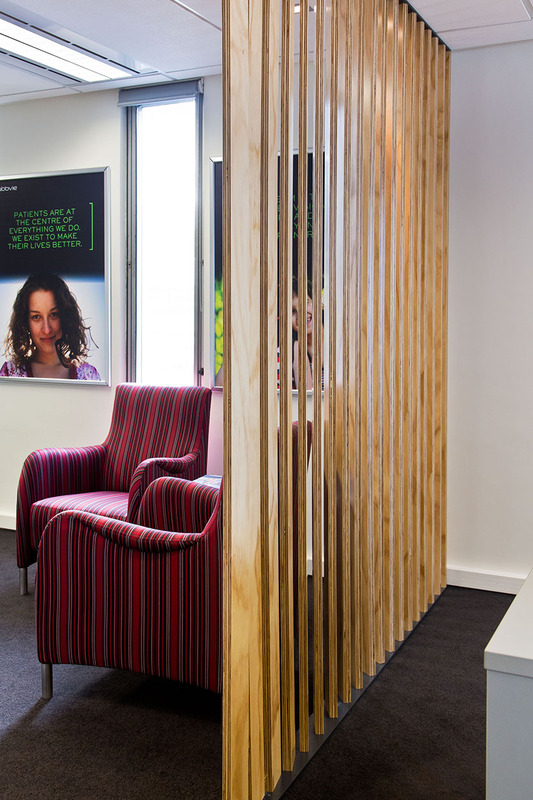 AbbVie wanted an environment that supported its innovative and collaborative working culture and approached S&T for concepts to improve their current fit-out to match their working styles. 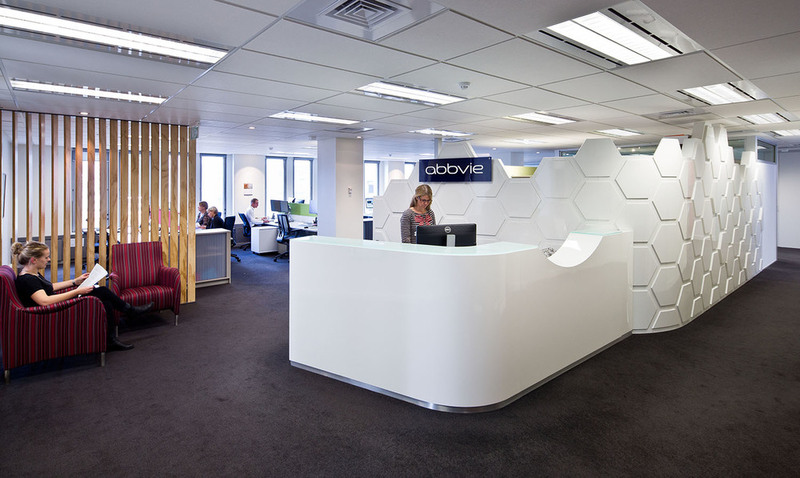 AbbVie wanted energy, agility and connection at the focus of their design, with access to natural lighting for all staff and improved storage and packaging facilities. Through intelligent space planning and selections of finishes, S&T created and functional, inspiring open plan working environment for all the AbbVie staff. When designing open plan workplaces, particular attention must be paid to acoustics for private spaces. We offered AbbVie an additional 2 meeting rooms and a packaging space in addition to their existing Boardroom. We stepped away from the traditional table and chairs meeting spaces and formed an informal discussion room with comfort in mind, and a second meeting room that was colourful and fun. Each space has its own sense of character and individuality which provides the staff with meeting room options. 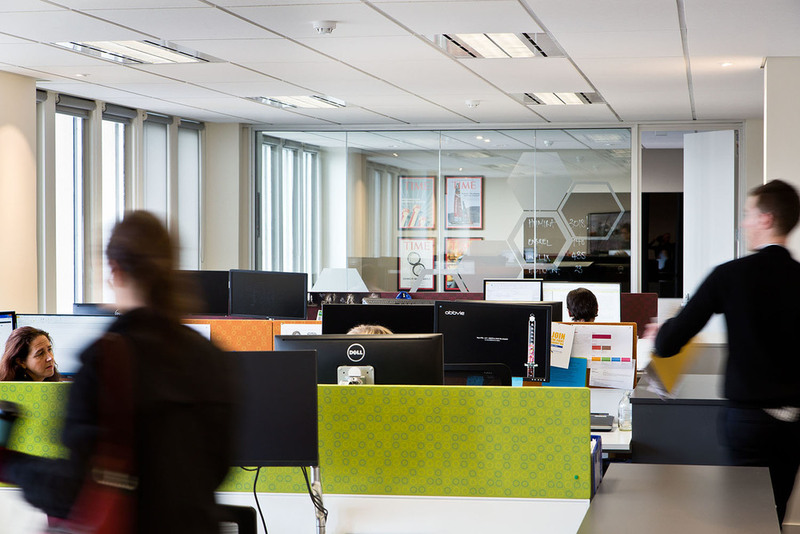 A very successful project and we wish AbbVie all the best in their revamped Wellington Office!